On a rainy day in late July, dozens of sake enthusiasts braved the torrents whipped up by Typhoon Jongdari to attend the Greater Tokyo Sake Festival, held on the grounds of Kanda Myojin Shrine. 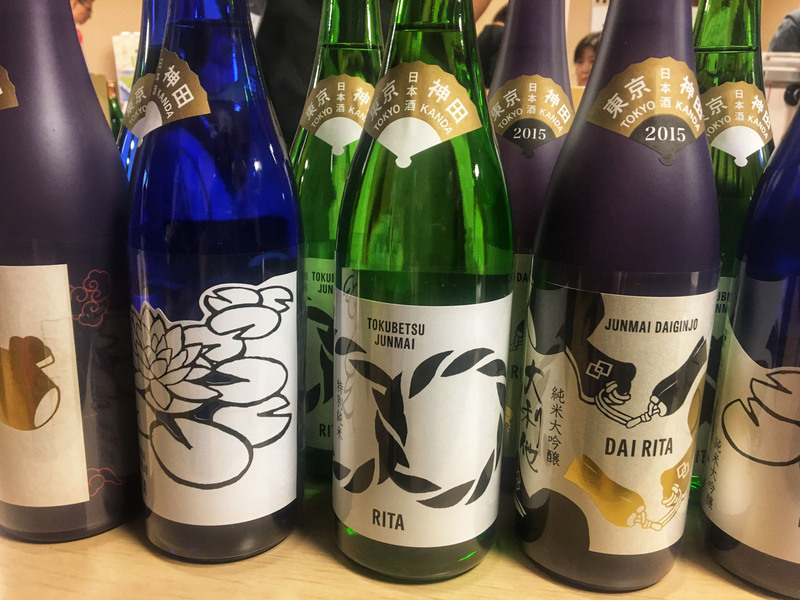 Organized by the Women’s Association for Japanese Sake and Wine Lovers (Omotenashi Sakejo), the event showcased sake breweries and shōchū distilleries from all over Tokyo — including Izu Oshima island, which lies 120 kilometers south of the capital yet still falls under its jurisdiction. The Tokyo area is home to 11 active sake breweries, mainly located on the outskirts of town. While producers such as Ozawa Shuzo, makers of the Sawanoi brand, and Ishikawa Brewery — which brews Tamajiman as well as the popular craft beer Tama no Megumi — offer free tours to visitors and are widely represented at restaurants and retail shops, many of the city’s other brews are somewhat harder to find. Although I knew some of the breweries participating, there were several products that I had never sampled before, such as Toshimaya Juemon Ginjo, a dry, umami-driven brew with a mellow finish. A collaboration between Toshimaya Corporation and Studio Ghibli, the animation studio founded by director Hayao Miyazaki, the sake’s label features a playful logo designed by Studio Ghibli that resembles a Japanese inkan (artist’s signature seal). Tokyo Port Brewery’s Edo Kaijo Junmai Ginjo Genshu, made with Yamada Nishiki rice, was fruity and poised with a lively, almost spritzy character. Located in a four-story building in the heart of the city, Tokyo Port is the second iteration of a brewery called Wakamatsuya, which originally operated from 1812 to 1911. 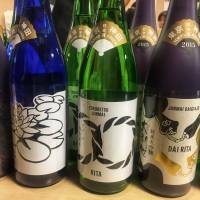 In 2016, the brewery resumed production under a new name, releasing a line of Tokyo-centric sake with monikers like Roppongi no Sake and Ginza no Sake, adorned with modern labels. One of Tokyo Port’s experimental brews, Palla-Casey Junmai Ginjo Genshu, is made with a yeast starter that blends traditional and modern techniques to yield a sake with yogurty, lactic notes that pair well with umami-heavy foods such as Parmesan cheese and cured ham. Perhaps the most exciting discovery was the Kanda Toshimaya Rita line of sake, also produced by Toshimaya Corporation. Attractively packaged in colored-glass bottles, the brews are found exclusively at shops and restaurants in the Kanda district. The brews are indeed worth seeking out. Rita Junmai Daiginjo is soft and voluptuous, with hints of stone fruit and a rounded texture. The elegant Dai Rita Junmai Daiginjo — aged for three years at cold temperatures — is full-bodied and seductive, velvety on the palate and generously laden with ripe fruit flavors. Rita Tokubetsu Junmai is smooth and rich, with a subtle, ricey sweetness and umami depth. Kimura recommends serving it warmed. Kanda Toshimaya also operates a shop in Chiyoda Ward, but I was able to pick up a bottle of Rita Junmai Daiginjo at the event. As I left the tasting, there was a break in the rain. I paid my respects to the deities enshrined in Kanda Myojin and thanked them for keeping the brewing business alive in Tokyo. For more info on Omotenashi Sakejo events, visit omotenashi-sakejo.com.